Taking your driving lessons in the dainty market town of Buckingham means you will experience some good foundation town driving before you head to your nearest test centre. Most learners taking their driving lessons in Buckingham choose to book their driving test at Bletchley in Milton Keynes. With the A421 running through Buckingham and leading you to the door step of Bletchley - it's probably the most popular and time efficient option. 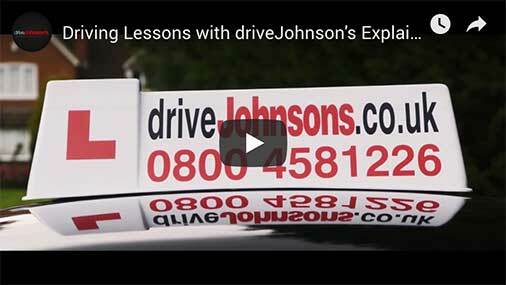 Our driving instructors near you are local to Buckingham, however, they are also very familiar with the test routes outside of the town as well. They will teach you the basics in your home town as there are some great areas to practice such as the wide roads in Badgers estate and Linden Village. Once you have grasped the basics and your MSPSL is on point then they will take you to your chosen test centre choice to practice in and around those areas whilst teaching you safe driving skills for life. We hope you will like driving at 60mph as the A421 road is going to be your best friend, we recommend all pupils taking their test at Bletchley to have 2 hour lessons if they are travelling to the test route areas to practice. What do people think about driveJohnson's?